Feeling fatigued. Time to reset my body over the next 3 days! Gonna get rid of this bloating and gain some clarity back! Feel the same as me?? Sluggish? Tired? Needing naps? Unable to focus?? Then I know how you feel. Want to join me and try out 3-day Refresh? Contact me by clicking this link if you would like more information on how to get me as a free coach to help you get started. It helps you break bad habits, gain energy, increase productivity, lose weight, eat healthier, teaches portion control, sleep better, feel more rested and kickstart your metabolism. After returning from our 2-week road trip to Miami and on a 5-day cruise, I just haven’ been able to operate at 100%, like I felt I was prior to our trip. I have been feeling sluggish, experiencing a major mental fog, sleeping for long hours, but waking up groggy. I was starting to rely on caffeine and my pre-workout drink, Energize and even that was not doing the trick. My eating habits I would say were 100% on POINT before we left on the trip and took a MAJOR decline while on the trip due to the fact that most of our meals were eaten on the road or being prepared by someone else. Since we’ve been back from the trip, I haven’t been able to get my eating back 100% on point, but I would say I’ve maintained my clean eating 80-85% of the time, so should not be feeling this bad. The last round of 3-day refresh that I did was back in October. I am long overdue. 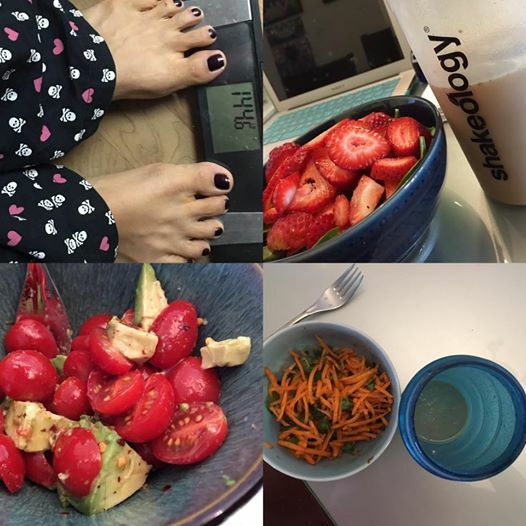 I decided to chronicle this round each day, each meal, so everyone could get a chance to watch it unfold, see what I am eating, how I am feeling and hopefully inspire others to try it out themselves. 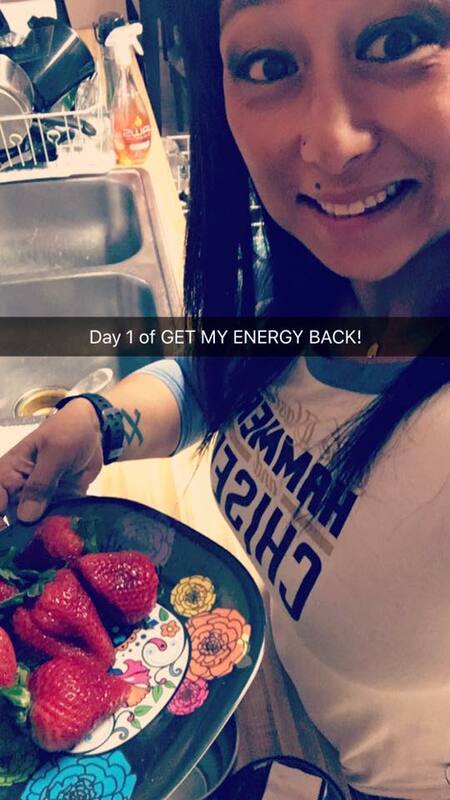 Day 1 – Thoughts for the day, while I mix up my FIBER SWEEP after my weekly therapy session! 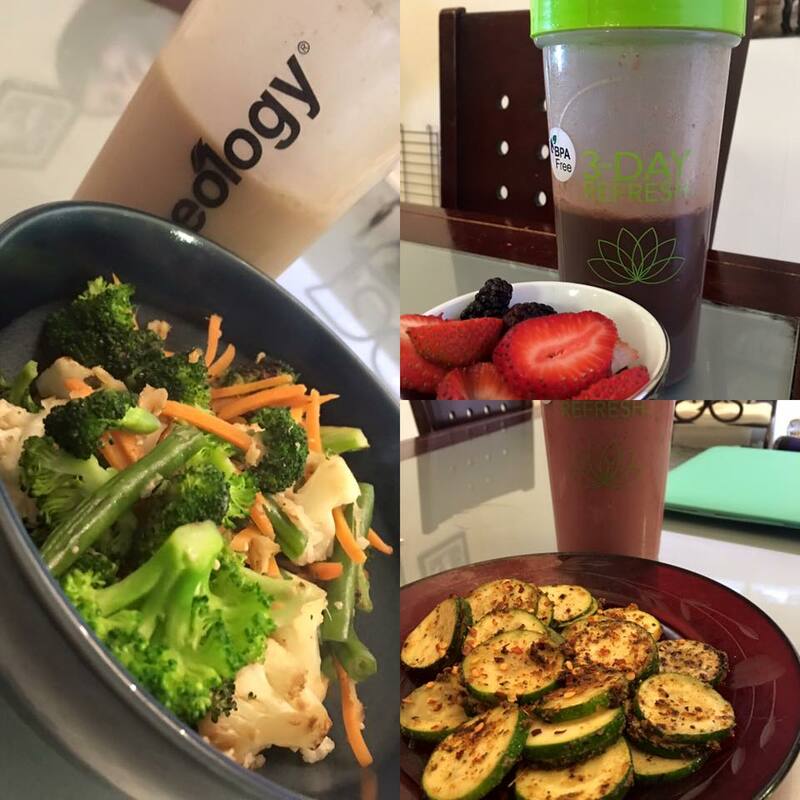 Today’s day 2 of my 3-day Detox/Cleanse! Here’s my daily accountability report! Do you think 3-4 lbs. isn’t a big deal?? 3-4 lbs. can make a HUGE DIFFERENCE! Meal 3/3 on day 3/3 complete! Forgot to do a LIVE update because I was too busy cooking for everyone else! Celebrated a BIG victory tonight! I hit the 6-month mark of my sobriety! Up and at ’em. Completed Round XVI of 3-Day Refresh. Lost 4 lbs. & 3″ off my waist. Feel great, gained my energy back, kicked my caffeine habit! Feeling refreshed. Gotta eat my eggs. Now headed to Houston with the kids for a day of fun! Want the recipe for my sweet potato hash?? 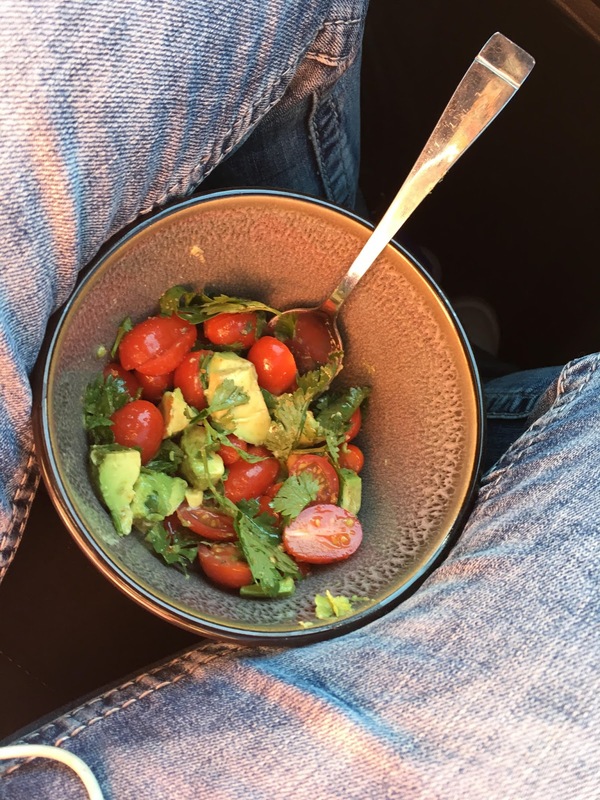 Join my NEXT 5-day CLEAN EATING GROUP! Click on this link to find out more info on how to be one of my 15 participants! I am so thankful that the 3-days I spent completing my 16th round of the 3-Day Refresh is what was needed to get back on track. I kicked my caffeine habit and regained my energy and was able to jump right back in to my workout! I am ready to CRUSH month 2 of 22 Minute Hard Corps! 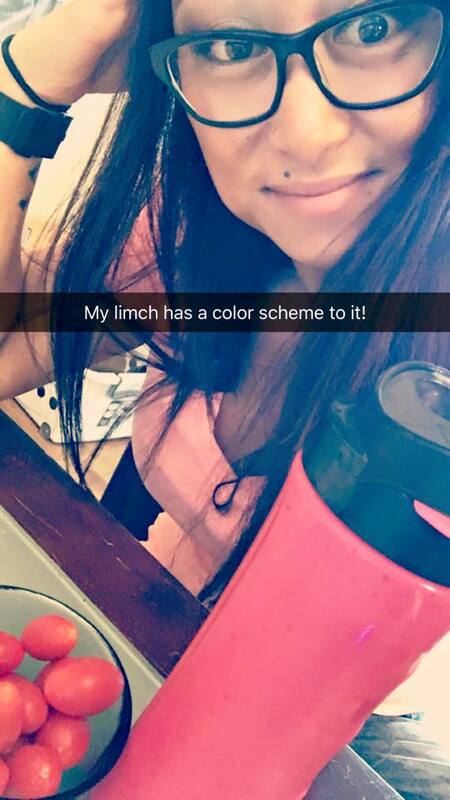 To join me on my journey and/or to get more information on how to get started with the 3-day Refresh yourself, please contact me via my website, by clicking on this link.